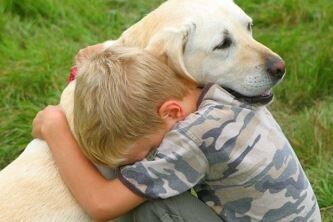 Prevention of separation of young children from 0 to 3 years of age from families in crisis. 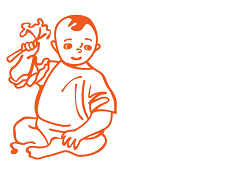 Implementation of a range of social and psychological services that make it possible to maintain a safe family environment for the child in a difficult life situation, and to avoid placing of the child into residential care, including in emergency situations when parents temporarily are not able to take adequate care of their children. Development and strengthening of parental competence that result in sustainable, qualitative changes in the family. Support and resilience-building of the family raising children with severe multiple disabilities”. "Short Breaks Service" is a family support service that provides a short break to families which take continuous care of the children, by arranging care of the children in another family that can meet their changing developmental needs, expand their social network and enhance quality of life. This kind of support changes the situation in the family for the better, reduces the risk of abandonment and / or placement in an institution. The service can be provided at the child's residential accommodation, or in the hospital / sanatorium, where the child is placed temporarily. 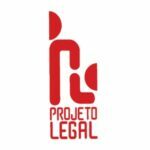 This project promotes active involvement of the civil society in helping families with children with disabilities, and promotes the integration of such families into the local community. The Regional Alliance has created a business unit called the P4EC Consultancy Group which has been actively delivering consultancy and technical assistance to a range of contractors such as UNICEF and Oxford Policy Management since 2013. 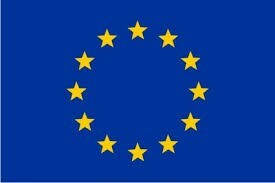 The P4EC Consultancy Group offers a pool of experienced consultants, who can provide international quality consultancy across a range of health, social care, education, social protection, social and public policy portfolios. The P4EC Consultancy Group provides services to local and national authorities, state and non-state service providers, to donors and international consulting firms working in development assistance. We have a network of offices and staff in 5 countries and an extensive network of consultants, associates and partner organizations across the ECA region as well as globally through our participation in international NGO, academic, EU and UN networks. 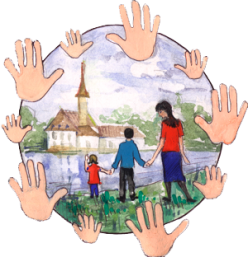 We have links to relevant communities of practice and policy, national government ministries and local authorities, national and international NGOs, international organizations and donors in the five member countries as well as in many other countries of the region including Mongolia, Romania, Czech Republic, Croatia, Serbia, Kazakhstan, Turkmenistan, Tajikistan, Kyrgyzstan, Uzbekistan, Armenia, Azerbaijan and internationally. The development of a National deinstitutionalization strategy and the establishment of a concrete action plan to enhance the strengths of the existing child protection system and development of a wide range of services to meet the basic needs of children without family care or are at risk of loss parental care in accordance with the "Guidelines for the alternative care of children" of the UN. Development of recommendations to improve the quality of family prevention and support services, including services for children born out of wedlock, children with disabilities and other children at risk of separation from their parents, as well as the cost of various family support options and alternative forms of child care. 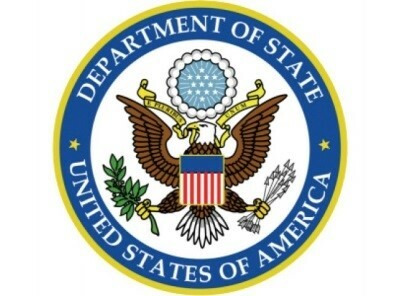 To support the Government of Turkmenistan in the development and practical implementation of inclusive (integrated) quality community-based services for vulnerable children and families by 2020, including the development of Standards of Social Services and the development of a training program for future professional social workers. As a result of the project: Report "Action Plan for the development of social services and human resources for social work for 2018-2028» have been prepared. 2. 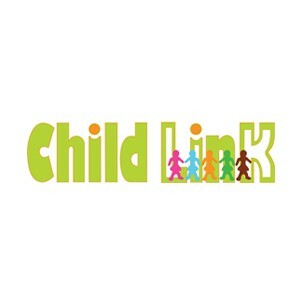 To Develop and test a training program for child protection specialists. Draft minimum standards and procedures for the provision of special social services for the child and the family and a draft CPF Regulation have been prepared. The Childonomics research project has developed an instrument that can help decision-makers, child care specialists, social workers, researchers, child rights advocates and other interested parties reflect on the long-term social and economic return of investing in children and families within a given national or sub-national context. The Childonomics is a methodology for assessing the value of different types of services by enabling consideration of costs of different services and approaches to supporting children and families in vulnerable situations – or at risk of entering into vulnerable situations - and the kinds of outcomes which interaction with those services might be expected to achieve for the child and family as well as for the community and society as a whole. 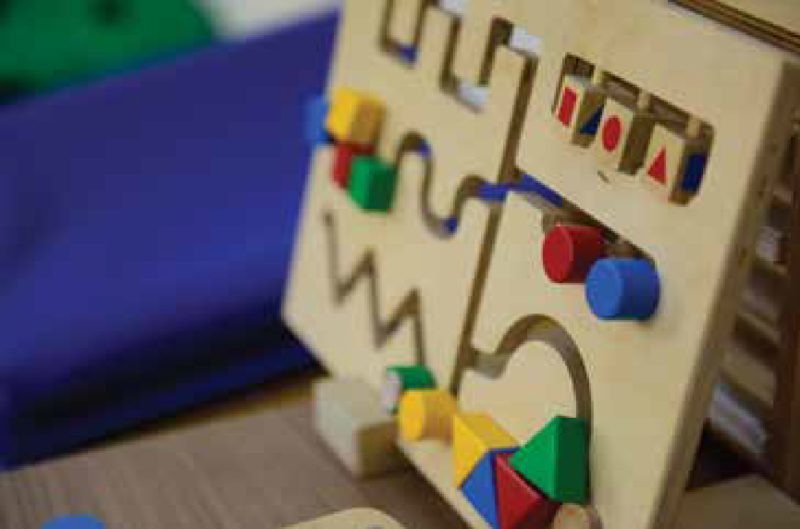 The project and methodology uses a rights-based foundation and an outcomes focus as a basis for understanding the investment in children and families that is required to ensure the well-being of children, with a particular emphasis on supporting children, families, and communities in order to prevent and reduce any form of developmental delay, harm and, especially, the unnecessary separation of children from their parents or families. The methodology proposes an approach to economic modelling that can be used in a number of ways to inform decision-making, advocacy, research and practice development. Tasks: To develop guidance for frontline social workers, case managers and service managers on working with children with disabilities in a family setting. Field test the guidance in two countries and incorporate feedback and inputs from a steering committee of experts. The Guidance was developed collaboratively. The process included consultations with people who work directly and indirectly with children, including children with disabilities, all over the world. It included in-depth review during a workshop with government and non-government social service workers, as well as consultations with children with disabilities and their families in Ukraine. The Guidance is intendedfor use in different countries and cultures; the approaches and concepts described and the words used in the text are asup-to-date and generally accepted as is possible.This Guidance is a resource for people who work withchildren and families using a case management approach inmiddle-income and low-income countries.Basic case management approaches should be the same forall children but there are additional and specific issues and approaches that specialists should know about when you workwith children with disabilities. This Guidance provides answers to these issues. 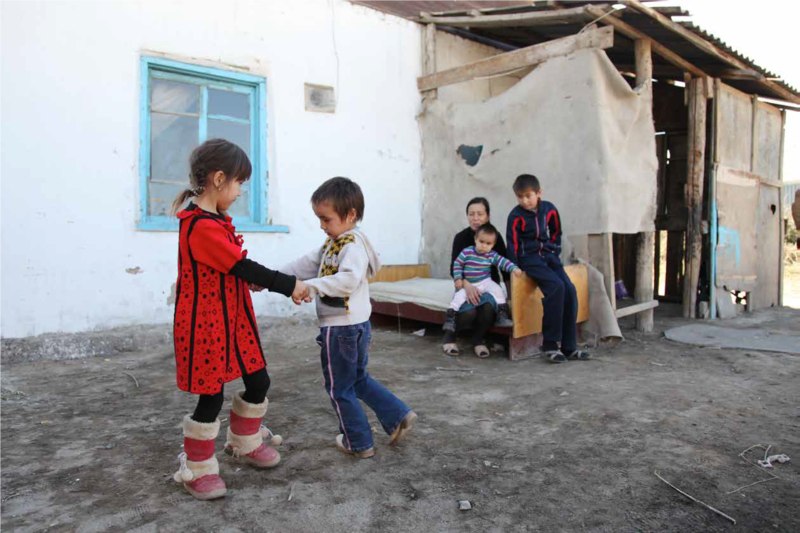 The social protection sector in Kazakhstan has undergone significant transformation in recent years.As part of these reform processes a Targeted Social Assistance (TSA) programme was introduced in 2010-2011. A study by UNICEF in 2014 found a large proportion (over 90%) of exclusion errors (i.e. eligible households that were not receiving benefits) and fragmented coverage of key vulnerable groups. Recommendations were developed to improve the efficiency of social benefits and payments in Kazakhstan. 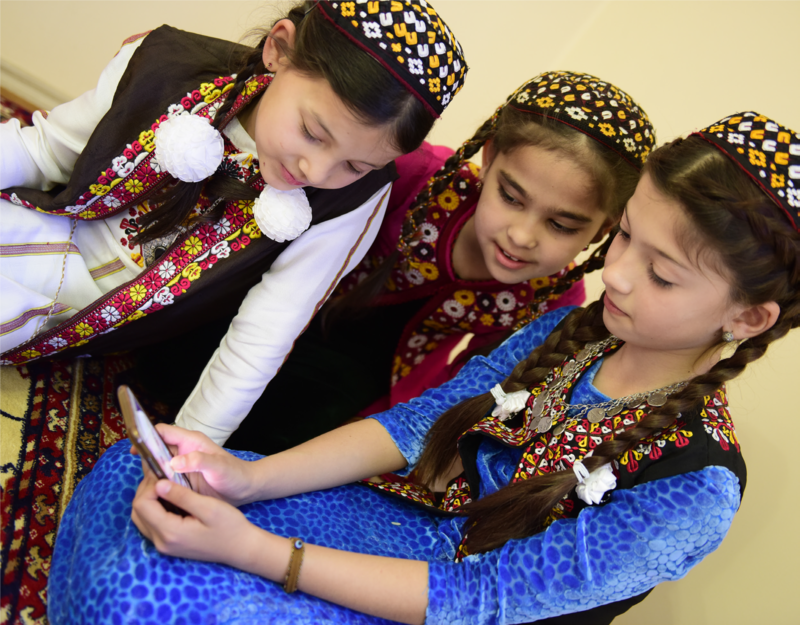 The revised TSA In 2016 programme is being piloted in selected districts during 2016 including some districts in Kyzylorda and Mangystau. Effective social transfer targeting and improved access to effective and appropriate social services through integrated service delivery- are crucial for addressing the multiple and often inter-related vulnerabilities experienced by children and their families.The findings and recommendations produced by this project should help to ensure that the proposed TSA means-tested programme has better coverage and it is more responsive to the needs of families with children. The consultant team also provided practical and hands-on technical assistance to local stakeholders including training and supported the design and development of operational systems and protocols to improve service delivery. Tasks: To document the effectiveness of the models developed in Ust-Kamenogorsk and Semey and their relevance in meeting the needs of children and families and ensuring lasting impact on the realization of children’s rights; To identify gaps in - and carry out a costing of - existing services and to develop a comparative analysis of the effectiveness of the family support services established in East Kazakhstan and other family support models in Kazakhstan and internationally. 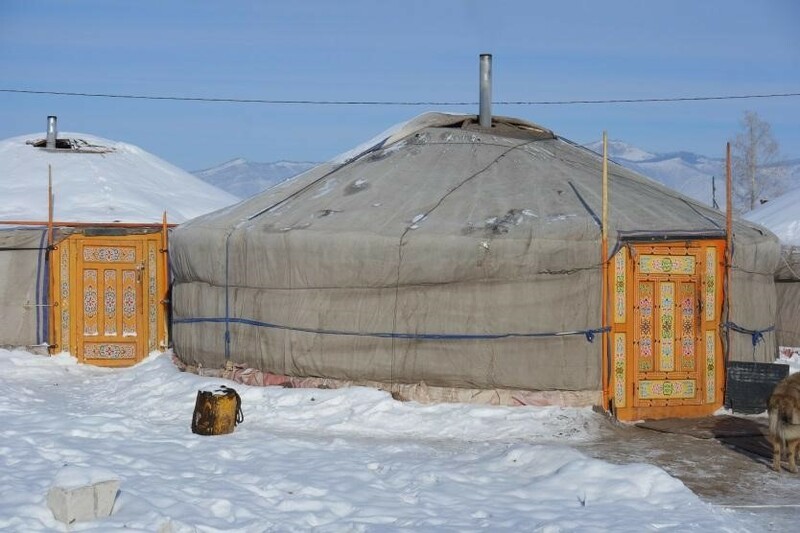 Tasks: To support the Government of Mongolia in addressing a major social and rights issue by ensuring inclusiveness and delivery of services for persons with disabilities. The overall aim of the project is to ensure access by people with disabilities to employment to increase their autonomy and contribution to the economy and society in general. This is a stage on the journey towards a fully equitable society. It will address the most urgent impediments to inclusion for the biggest number of most marginalised and vulnerable children and people with disabilities. It will set the standard for a national approach and act as a platform for more incremental actions over time, as more resources become available. To review the existing social protection Services as well as other relevant statutory bodies and based on the sound gender sensitive evidence produce review of the situation with strong equity focused recommendations. More precisely the major arear of the work were concentrated on the review the regional social protection centers and assessment of possible expansion of their work with more focus on family support services and review of the linkages social protection system and the Regional level commissions charged with child protection and support functions. 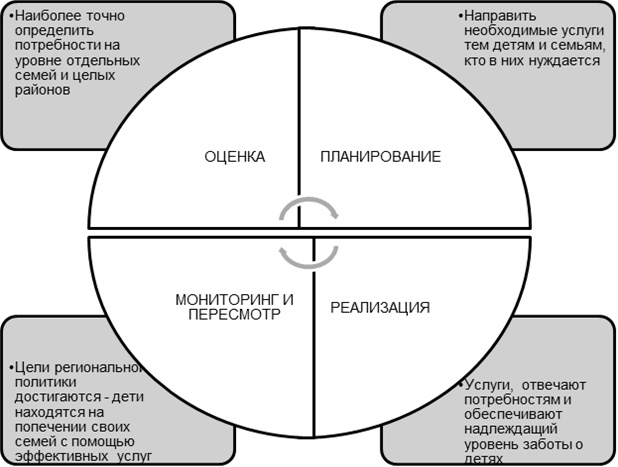 The main activities included: A desk review of previous studies and reports in the social protection sphere in Turkmenistan; development of the methodology for this assessment, collection both quantitative and qualitative data in order to help triangulate data from key informant interviews and focus group discussions. Some key informant interviews were held with several respondents at a time and some focus group discussions took the form of group consultations or workshops rather than pure focus group discussions. 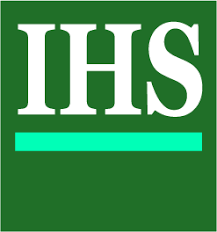 Data was gathered in Ashgabat, Ahal velayat and Turkmenabat/Lebap Velayat by the consultant. 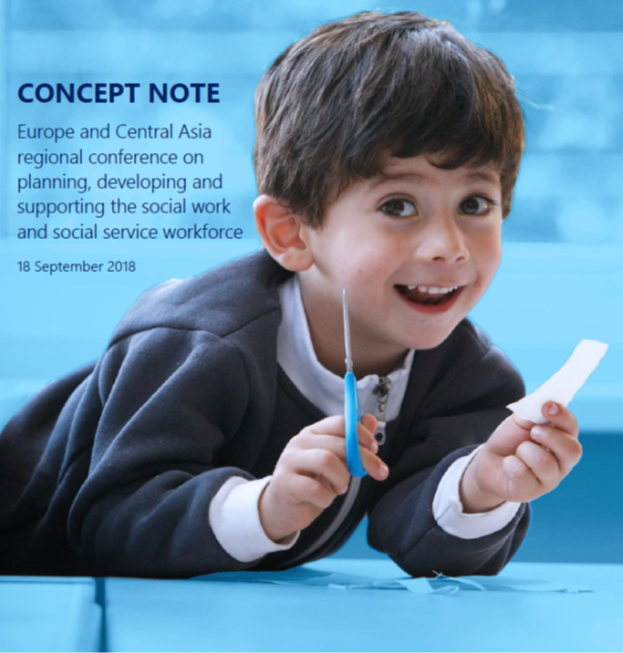 The final study aimed to capture the perspectives of a range of actors in the social protection system including parents, specialists and decision-makers at national, regional and local levels and to gather data that could help to uncover the patterns of demand and supply for social services and inform the possible development of child and family oriented social services. 1. Final situation analysis Report including mapping of the institutions and processes as well as recommendations. Tasks: To implement a disability survey which enable the collection and establishment of a sound baseline increasing the evidence for policymaking, knowledge and awareness about the situation and rights of children with disabilities. 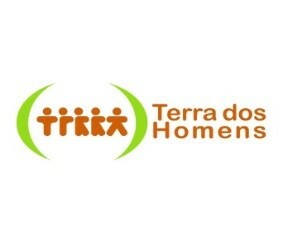 - To understand the accessibility and availability of the Social Services for children with disabilities.  Request for disaggregated administrative system and demographic data on children and young people with disabilities submitted to the Ministry of Labour and Social Protection, Ministry of Education, Ministry of Health and Medical Industry and the State Statistics Committee. An extensive desk review also informed the methodology for the survey and the findings in the final report including: - International good practice on conducting surveys relating to disability and child disability, National legislation, policy and institutional arrangements for children with disabilities in Turkmenistan, Relevant studies and research reports from Turkmenistan. 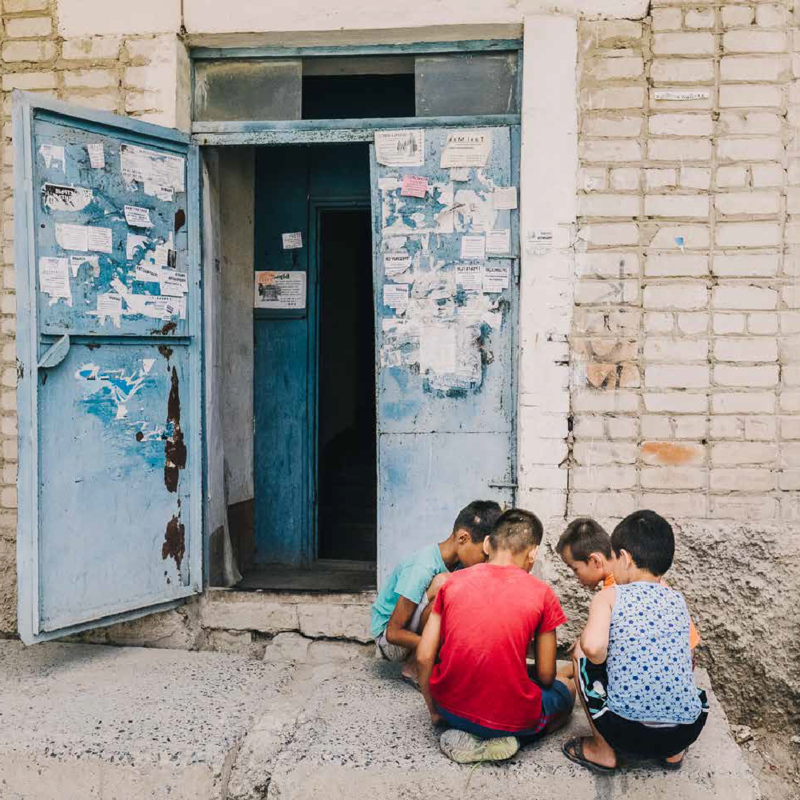 Tasks: To gather a better picture on a number, place of birth, nationality of children under three who are abandoned / relinquished in Turkmenistan and a) live in residential care; b) in any form of care (to have sample of cases to look at in order to establish the causes / main reasons. Other tasks included: to analyze the main reason for abandonment / relinquishment of children 0-3 years old in Turkmenistan and examine the role of family, social and community factors leading to the abandonment of children; to review the process of how these children are taken into care and explore availability of social work and support services to work with the mother / family in difficult situation. 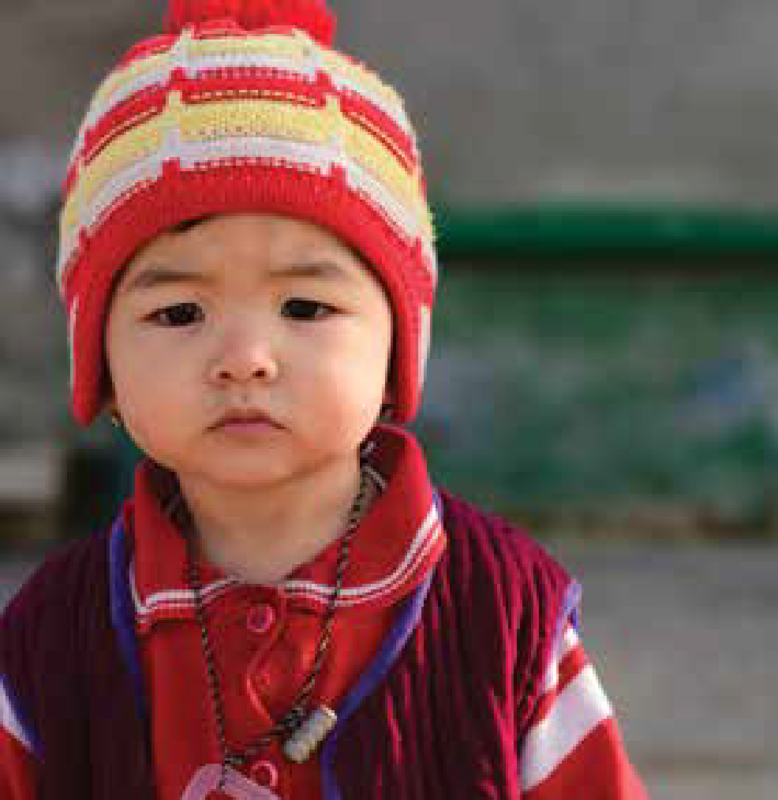 The main activities included: an extensive study of the situation in the four infant homes in Turkmenistan. 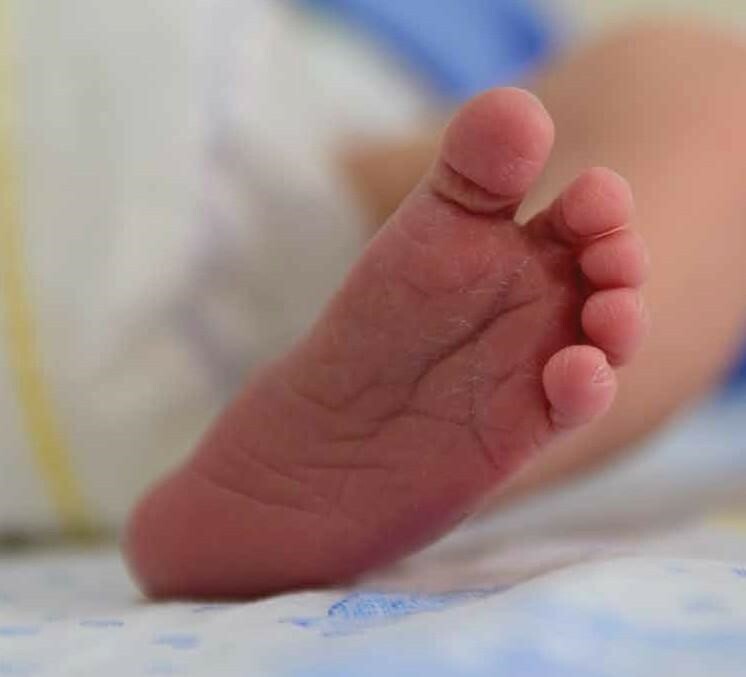 The study gathered and analyzed secondary data at national, regional/infant home and individual levels and gathered primary data through interviews with 84 staff and 38 parents in maternity hospitals and infant homes. The study summarizes views of maternity hospital and infant home staff on how prevention of relinquishment can be strengthened and the experiences of a group of mothers of young children with disabilities at the birth of the baby and subsequently in terms of caring for their child in the community without recourse to the infant home. The final report included key recommendations to emerge from the study are: the need to expand and change the functions of the infant homes; strengthening reproductive health services in order to prevent unwanted pregnancies; taking active and structured measures to prevent relinquishment in the maternity hospitals; strengthening links between Guardianship and Trusteeship organs, health, education and social services; creating new social services to support children and families in difficult life situations as an alternative to placement into infant homes; developing and implementing a Disability Policy; monitoring key indicators in prevention and alternatives to infant home care; training and re-training staff. 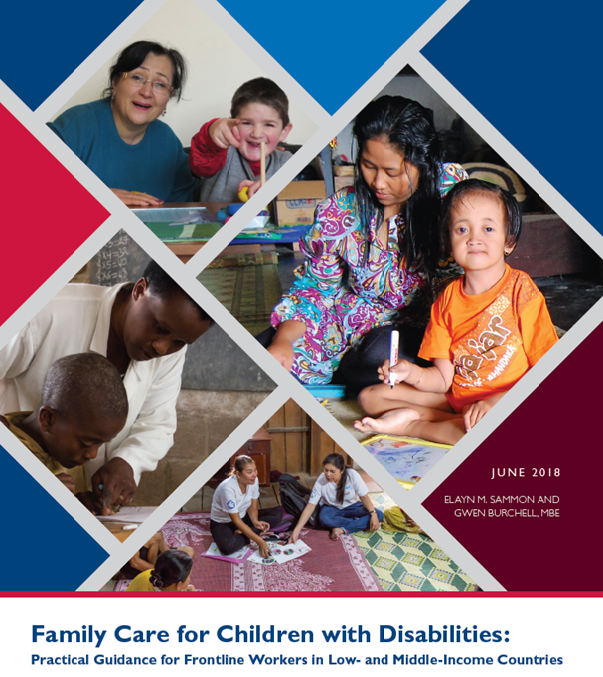 Tasks: Rapid assessment of needs and provision of relevant assistance needed to overcome crisis for families with children from 0 to 3 years, including children with disabilities or special needs, as well as families where parents have special needs or disabilities. Work with the family is based on “case management" to provide emergency social assistance: identification of families where, as a result of a crisis, children are on the verge of separation or are already separated from their families; assessment of the needs of the child/children; development of an individual plan of emergency social assistance to the family on the basis of an assessment with the participation of the family; ensuring the receipt of all relevant social services; assessment of the effectiveness of the assistance provided and monitoring of families who leave the programme. During the three years of the project, A total of 215 children from 104 families became beneficiaries of the project. 95 children from families who had overcome the crisis had not been separated from their parents; another 120 children had received parenting and social counselling. 203 specialists took part in the events on exchange of experience and professional development. Families in crisis are provided with short-term placement of children in trained professional families as an alternative to placement in residential care. 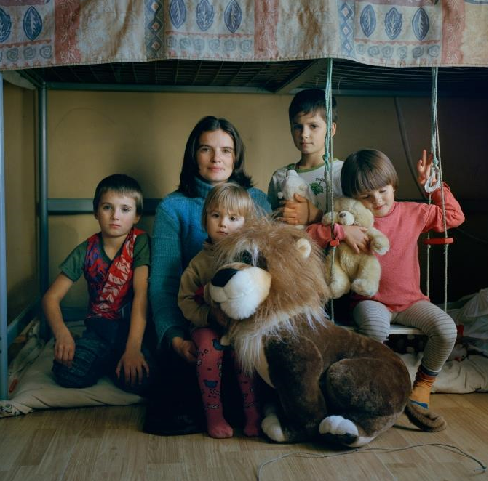 The greatest difficulties arise in families when parents / guardians, other adult family members face circumstances where they are temporarily unable to perform the duties of child care: hospitalization, serious illness of one or both parents or other children in the family, the death of loved ones, the need to leave, etc.it is then that children are most at risk of entering residential institutions. Placement of a child in a professional family provides children with individualized attention and family-based care for the time that parents need to cope with life difficulties, undergo treatment/rehabilitation, etc., to achieve the goals and objectives that have been developed jointly with the specialists of the organization, so that the child can return home. Tasks: To identify evidence-based and effective parenting programmes that can deliver a targeted in-depth intervention to children and families who have been through a crisis or are at extreme risk with the aim of achieving significant and long term changes to parenting behaviours and child outcomes. At present there are gaps in services delivery for children living with parents who are facing multiple challenges that could lead to greater risk of violence, neglect and eventual separation and loss of parental care. P4EC have identified a need to analyze the most effective and proven international parental programs. During the pilot project experts visited 3 programs in the USA: "SafeCare" in Atlanta, "FIND" in Eugene, and "Strengthening Families" in Salk Lake City, as well as "Marte Meo" in the Netherlands. The purpose of the visits was to select for further study a programme that can deliver practical support while also working in a therapeutic and behaviour-changing way to ensure that parents can receive knowledge about their child’s developmental needs, instruction in skills for setting boundaries, positive reinforcement, non-violent discipline and creating stable, positive and safe environments for their children to grow and develop to their full potential. 2. A table summarizing the results and comparing the programmes with input from six experts: - two from P4EC Russia, two from UK and one from USA has been prepared following a process of preliminary interviews and visits to four programmes in the US and in the Netherlands. 3. 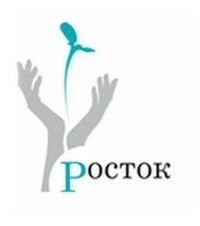 Increased knowledge and understanding of P4EC Russia team about evidence-based parenting programmes. 4. “Marte Meo” and “Strengthening Families” were selected as the two programmes that most closely meet our criteria for flexibility, cost, adaptability and evidence of effectiveness. Tasks: To explore the application in practice of the ‘necessity principle’ from the Guidelines on Alternative Care for Children (UN, 2009) by using three quantitative and three qualitative indicators that provide information about whether children and families have received support to the fullest extent possible before a child ends up outside of parental care arrangements in formal or informal care, or living alone. family is more likely to be protected than outside of the family and can monitor progress in child welfare reforms at national, sub-national and municipal levels. The data gathering instrument facilitates participation of children without parental care or who are at risk of losing parental care, as well as participation of their parents in assessing their needs and the support they are accessing. and 5 countries interviewed 611 children and 189 parents to gather data for the qualitative indicators. The main purpose of the report is to highlight areas where more could be done to support children and families and to prevent unnecessary loss of parental care arrangements. Task: To test a powerful tool for advocacy around the implementation of the Guidelines for the Alternative Care of Children at the national level and for our global advocacy work. ‘Digital Story Telling’ is a powerful method for research, education or psychotherapy. In our context, creation of the digital stories on a prompt “Moment when I felt a part/not a part of a family” was meant as a tool for work with vulnerable groups of people, socialization of teenagers, and preventive work with children and parents. Tasks: To consolidate future development of professional foster care services for vulnerable children and families in Russia and increase public awareness and understanding of the need for foster care for infants and children with special needs in St. Petersburg. 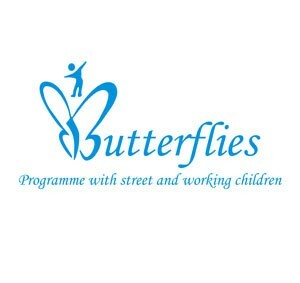 Key activities include: 1) Face-to-face and long-distance peer-to-peer exchange of practice and experience between foster carers and social workers in St Petersburg, Russia and Columbus, Ohio to compare and contrast approaches, promote reflection and learning and to jointly solve common problems that arise in providing these complex human services to very vulnerable children and families. 2) Development of a charter for the creation of a Russian Association of Professional Foster Carers, learning from the experience and history of the OFCA and other IHS/NARRCW partners. 3) Joint development of standards and service descriptions of respite care, emergency foster care and other models of foster care that are used as a way of supporting families and preventing unnecessary entry of vulnerable children, including babies and children with disabilities, into care. 4) Mutual learning about how foster care services are funded in Russia and the US and how resources can be maximized through fundraising as well as through government commissioning. Overall objective – The system of the Republic of Karelia for the prevention of social orphanhood, child rights protection, family support, family placement and care of children in need of state support is focused on most effectively meeting the developmental needs of each individual child. About 3035 children and their families in need of support from the government and municipalities/NGOs of Karelia benefited from a strengthened system of services that can meet the needs of these children and their families in order to prevent, where possible, their social orphanhood (i.e. their entry into state care). The action targeted 435 extremely vulnerable children from 18 administrative districts of Karelia at high risk of losing parental care and aimed to prevent their entry into full-time care of the state. The action supported 90 decision-makers and specialists from municipal authorities to develop and implement municipal children’s service plans based on detailed needs assessments that identified gaps in services for these children; built the capacity of municipal and regional NGO and state specialists to assess need and plan services; and provided small grants to NGO and local authority organisations to develop and deliver new services to these children and their families at the local level. 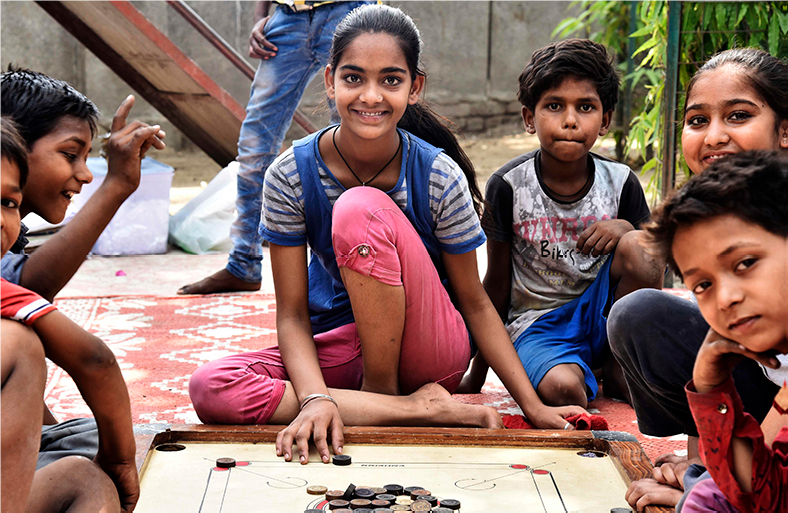 providing innovative social services for particularly vulnerable and marginalised children, which due to their novelty are not yet be financed by the state, but are vital for the most vulnerable categories of children. During the project, the partner organizations strengthened their competencies in fundraising and communications in order to ensure that children and young people with disabilities, as well as children at risk of loss of parental care, families with children in difficult situations, could continue to receive innovative social services without interruption due to lack of funding. 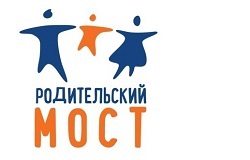 The creative fundraising and communication concepts developed within the framework of the project became the main part of an advertising campaign on the program of assistance to families raising children with disabilities "Short Break Foster Care" in St. Petersburg. Information support of the advertising campaign was provided by the regional media. 2. 40 employees of the NGO received new skills and knowledge in fundraising, communication and management, writing grant applications and their implementation. Task: The project strengthened 3 national child welfare networks – focused on foster care, early intervention and family support - to more effectively support beneficiary engagement in constructive policy dialogue that leads to a reduction in, and addresses the consequences of, loss of parental care, including for very young children and children with disabilities, at a Federal level and in 10 regions of Russia. A series of 6 Regional meetings and 2 conferences were organised for child care practitioners, foster carers, early intervention specialists, children, young people and parents. Standards were developed and implemented in 120 foster care and early intervention services. UN Guidelines on Alternative care and a new ‘loss of parental care’ index were disseminated across a further 130 services for children without parental care or at risk of losing parental care. 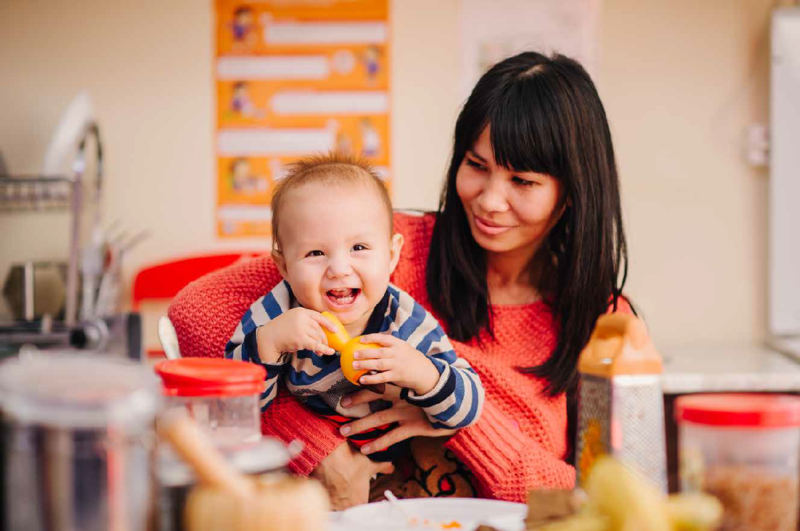 A set of indicators for measuring unnecessary loss of parental care were developed and tested and over 2000 children and parents from 15 regions of Russia then provided information about their needs and how services were responding (or not responding) to their needs. Advocacy and communications of these results helped national and regional governments to focus attention on prevention and family support. Task: To support children in conflict with the law, children left without parental care and children at risk of losing parental care to participate in decision-making that affects their lives. 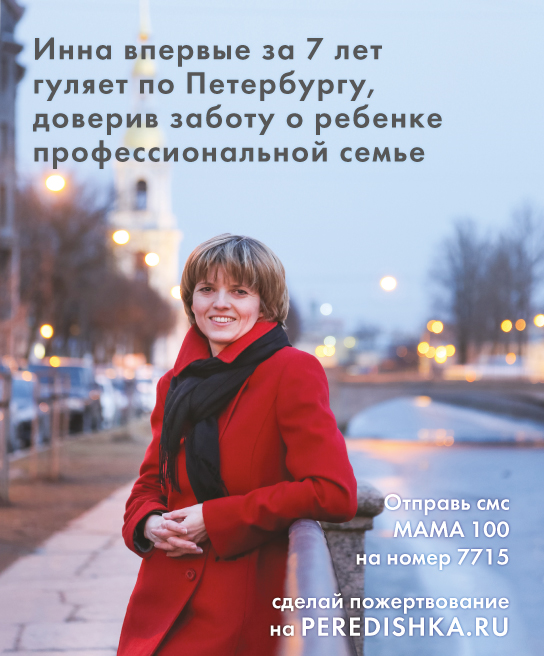 • With the participation of representatives of district courts and bodies of guardianship and guardianship of St. Petersburg, children and adolescents left without parental care or in risk to be left without parental care was undertaken to develop mechanisms for taking into account the views of a minor in consideration of a question on deprivation or restriction of parental rights and determine the further fate of the child. • Support for children and adolescents who have broken the law by testing alternative forms of punishment to reduce re-criminality and opportunities for rehabilitation and socialization of young people. 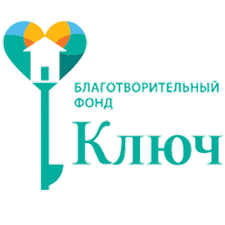 • Support for children with disabilities in residential care in Ekaterinburg and Sverdlovsk oblast to tell the carers and staff how to make their lives better. 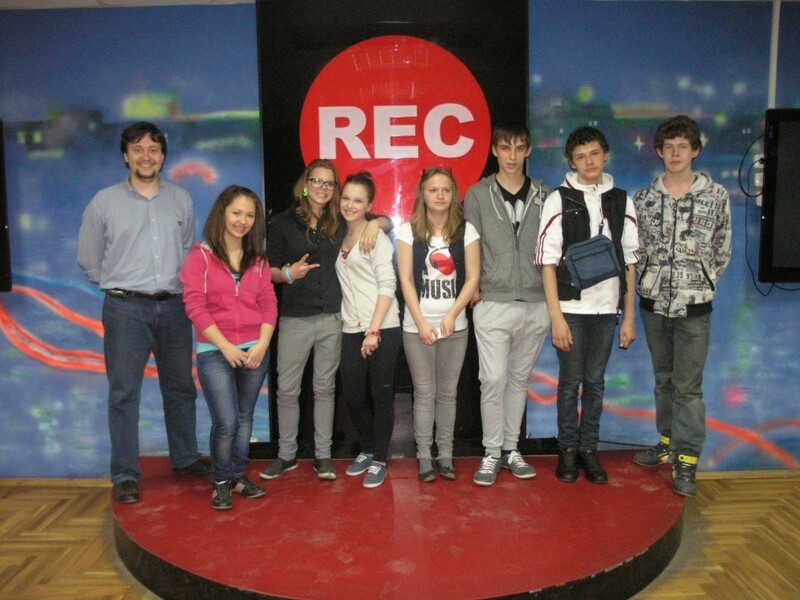 The main activities for children and young people included training sessions; consultations, interaction with government decision-makers; analysis of European practices of children's participation in trials and the use of alternatives to punishment; a trip to Bulgaria exchange experience with their peers in other countries with the support of the IFCO Youth Committee.